These are built upon our regular O Gauge passenger car kits, but specifically support the markers, drumhead and/or platform lighting. Provides full interior length lighting plus adds platform LED (MTH Premier only) and supply for both marker bulbs and drumhead bulb (as requested). Brightness level is user adjustable. On board regulation ensures flicker free operation. MTH Premier version is plug compatible for easy installation. Additional plug provided to connect existing marker lights. Some non-MTH tail-end cars may support (or be adapted to support) platform lighting. 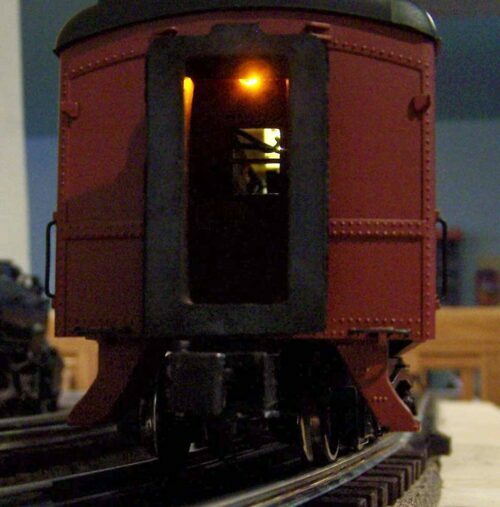 This new version of the kits provides lighting for the forward vestibule on 72′ scale cars. Both 80′ and 84′ cars may be supported but an added vestibule light is required (ordered separtely on this site). Feel free to contact us if you are not sure of your application or if you have a custom application. Because of the number of potential configurations, these kits are made to order. We will advise on time to ship (usually one additional day) when your order is received. Typically all items necessary are stocked. Note, we are making and selling these now and will update the image soon. The image shown is the original version with a separate board. This kit is all on one board! Please note each of the kits support a particular application for the tail end cars. If you need help with your selection, please contact me. If you order the wrong kit for your application, either it will not work as expected or you may burn out existing bulbs or LEDs in your coach. 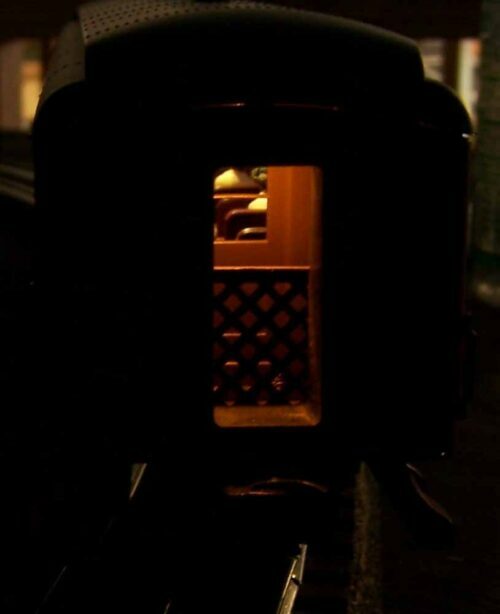 Additional marker lights are available using the Tomar O Scale lights offered on this site. To ensure you receive the correct kit, please include a note with your order, or contact me separately!